Thanks to a partnership between Fitbit and Amazon, you can now ask Echo questions about your recent Fitbit activity and receive 'spoken' fitness stats in return. The feature is simple, but it could motivate you to get more exercise. 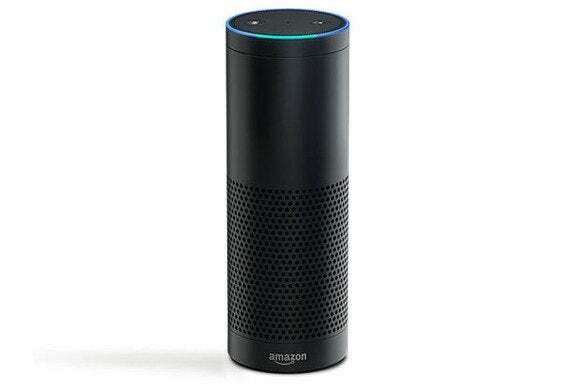 Jim: "Alexa, ask Fitbit how many calories I burned so far today?" Alexa: "You have burned about 770 calories today. You have 1,730 calories left to meet your goal." That's a typical exchange between me, a dedicated Fitbit user, and Alexa, Amazon's virtual voice assistant that lives inside the company's $180 Echo, as well as an increasing number of other Amazon products. Fitbit announced on Thursday that Echo owners can now link their Fitbit accounts to the virtual assistants using Alexa's mobile app. Ask Fitbit how I slept last night. Ask Fitbit how many miles I walked yesterday. Ask Fitbit how many miles I walked on Tuesday. Ask Fitbit what is my resting heart rate today. Ask Fitbit how many floors I climbed yesterday. Alexa sometimes even added encouragement to the answers. For instance, when I asked how many steps I'd taken (it was still early morning), Alexa said: "You have taken about 700 steps, but I don't see any active minutes data for you yet today. Go get 'em tiger." Will Alexa's Fitbit features motivate you to be more active? Is Alexa's new Fitbit integration genuinely useful? A little bit. Without Alexa, finding the number of miles you walked two days ago, for instance, means opening the Fitbit app, going to the day in question, and looking at your mileage. You can save a small amount of time by asking Alexa for the information. Alexa also didn't have answers to all of my questions. It couldn't tell me how many steps my Fitbit friends took on a given day, and several heart-rate questions stumped the machine. Alexa had trouble telling me how many calories I burned last Monday and Tuesday, as well, but it quickly told me what I'd already done today. Fitbit says it is the first wearable device maker to integrate its data with Alexa. Fitbit also introduced new voice input features for mobile devices; Windows 10 users, including those with smartphones, can now log food and activities in Fitbit using Cortana, Microsoft's virtual assistant. Fitbit's Executive Vice President of Interactive, Tim Roberts, hinted in a statement that the new Alexa-Fitbit skills may just be a glimpse of things to come. "As we look at how this integration could evolve in the future, there is an endless world of possibilities from fitness coaching and nutrition tips, to guidance before bedtime to help you get a more restful night's sleep." Will Alexa one day be able to tell when you're about to chow down some Popeye's fried chicken and then chastise you? If so, perhaps we should worry about Big Mother, instead of Big Brother. I'm kidding, of course. The Fitbit integration gives Alexa another skill. And it takes Amazon's device one step closer to its goal of Trojan-horsing into your home and then becoming an indispensable virtual assistant.